Wow! I’ve been working on this idea for a couple years but that one straightforward statement blew me away. Between July 6 (1st story posted) and November 20 (100th auction ended) of 2009, Significant Objects auctioned off $128.74 worth of insignificant doodads and dinguses, netting $3,612.51 for our contributing authors. Perhaps this makes us (Rob Walker and Josh Glenn) sound like the greatest salesmen alive, but we prefer to think of ourselves as quasi-anthropological researchers…. So yes, stories sell. Deeply meaningful ones like Corina meant…stories from the heart and soul of the creator of an object. But it’s so fascinating that these blatantly fictional ones work too. 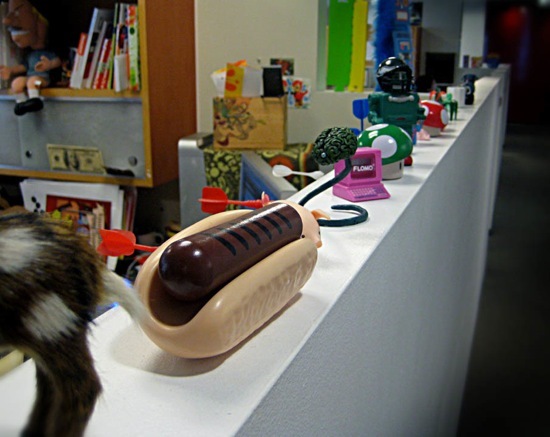 I am imagining these 100 eBay-auctioned tchotchkes taking pride of place in the homes of 100 hipsters around the world. I believe half their commercial value was created by their scarcity, their association with Rob and Josh in their own hipster-ness, and also by the cachet of owning the inspiration for a story by a famous or semi-famous author. 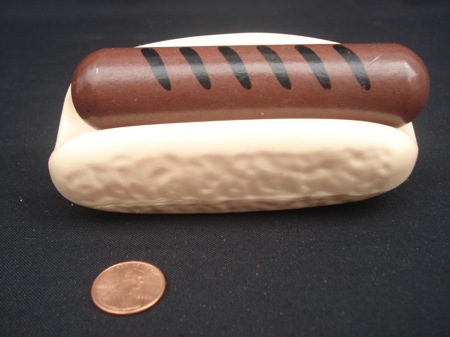 The winning bidder was kind enough to send the guys a photo of the hot dog in its swank new environs. In other words, I don’t think Joe Schmoe could write a story about a piece of crap and get a 2,000% return on his investment. But I do believe that Joe Schmoe who produces an object of meaning or invention or beauty, and tells its/his story can reap a rewarding, and deserved, return on THAT investment. 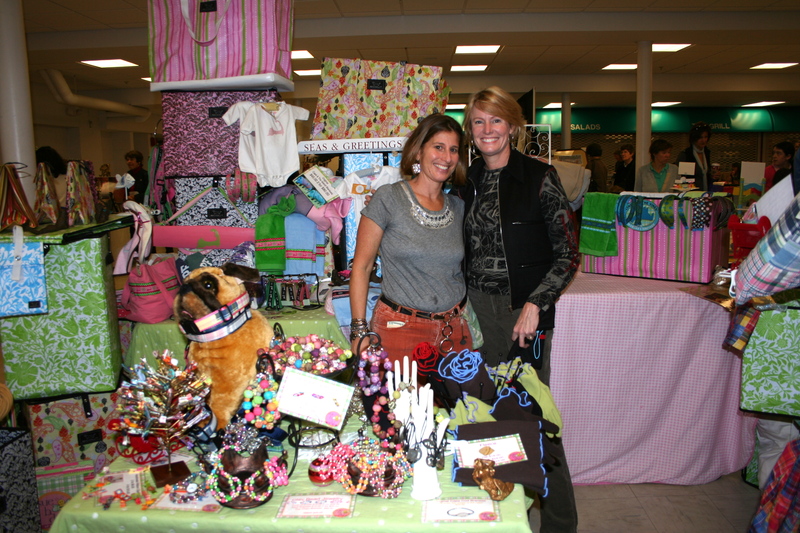 At the Wellesley Marketplace with Sue Zimmerman in her Sueb.Do booth. Sue has made a career of selling directly to consumers and her stories and personality are a big part of the value of a purchase, for Sue's customers. I’m all over that quote, too. Stories matter. And it’s just so human to listen and share and support one another — stories help power those connections. I had some great discussions at the Marketplace, too — and I encouraged several vendors with inventive and inspired products to visit Daily Grommet and submit their work. I’m so impressed with the power people have to create.